I had an unexpected day off today, so I rearranged the kitchen. Except for possibly the first six months, this is first time in the 12 years we've lived in this house, all of the kitchen is in the kitchen. I moved things around to mimic the planned, new layout (original post). 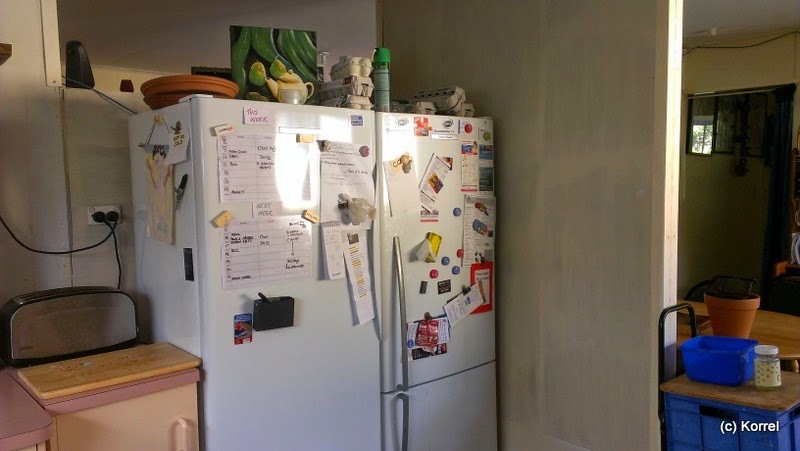 In simple terms, I moved the fridges out from the wall, put the long, narrow(ish) cupboard behind them (yes, behind them), and moved one of our small, floating cupboards. Maybe some before and after photos might help (or maybe not). This is the before. The photo is taken from the dining room looking into the kitchen. 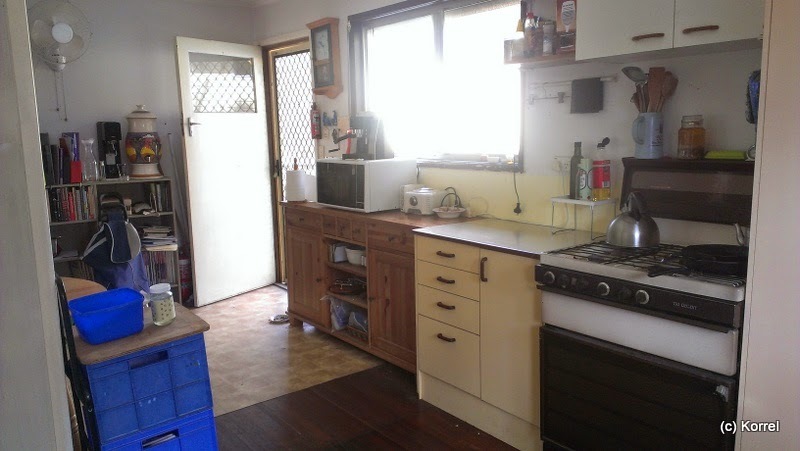 The stove is just off-shot to the left. And after. Taken standing back just a little further. The fridge are in exactly the same position - just pulled forward about a metre (3 foot). Before. 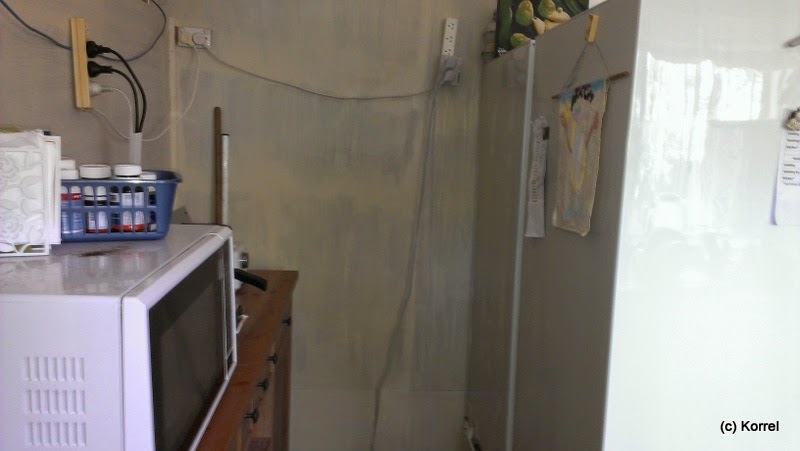 The fridges in their corner, pushed back against the wall. After. 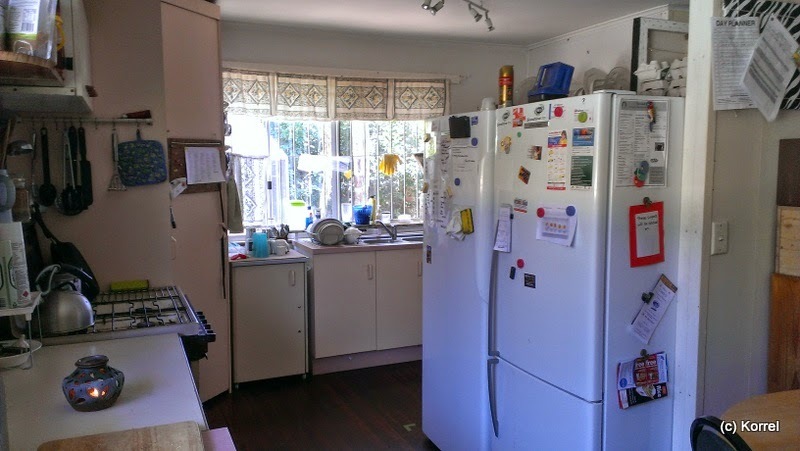 The same corner, with the fridges pulled forward and the brown cupboard pushed in behind. The cupboard is significantly deeper than the planned shelves in the final layout (about 45 cm compared to the planned 30cm). Before, looking from the sink to the back door. 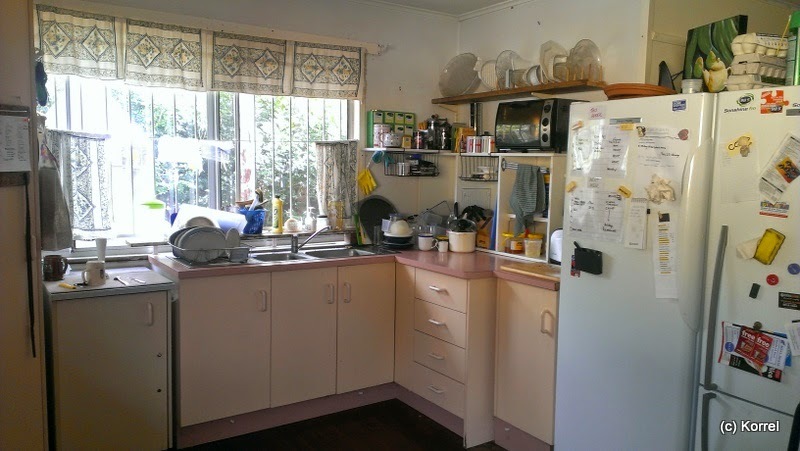 Note the brown cupboard, microwave, blender and coffee machine all sneaking into the dining room space. 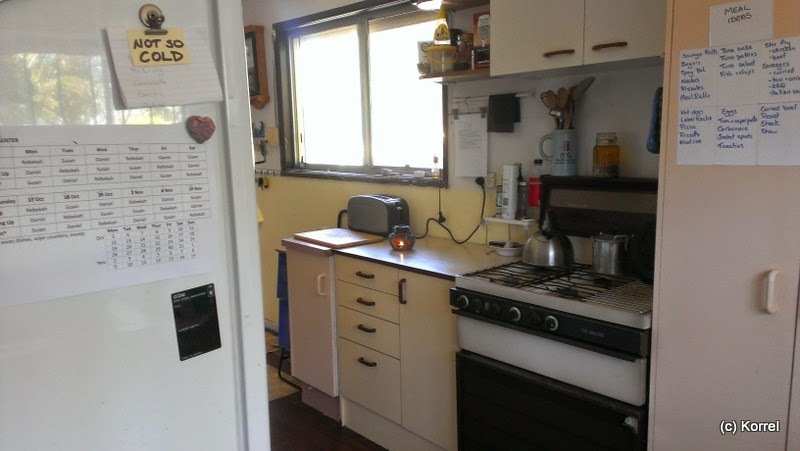 After, looking towards the back door (somewhat obscured by the fridge). What I can see (even if you can't) is that there is no 'kitchen' in my dining room.